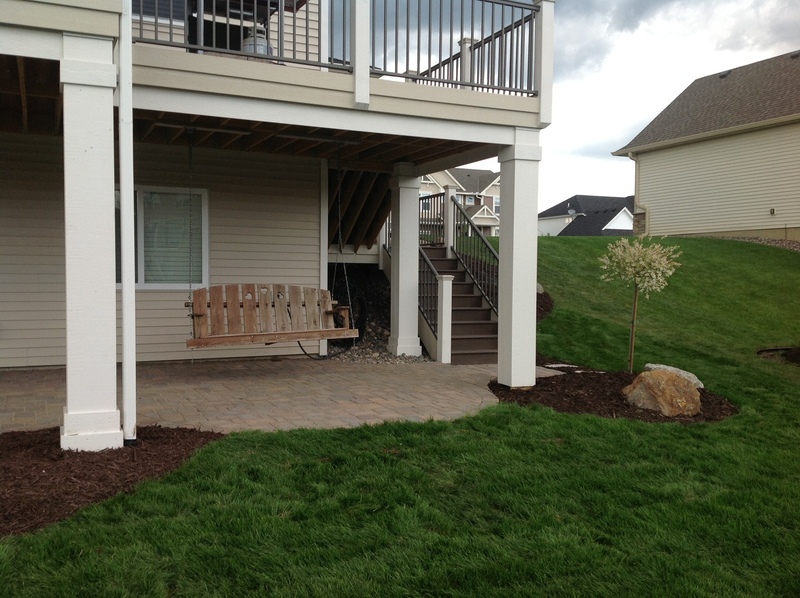 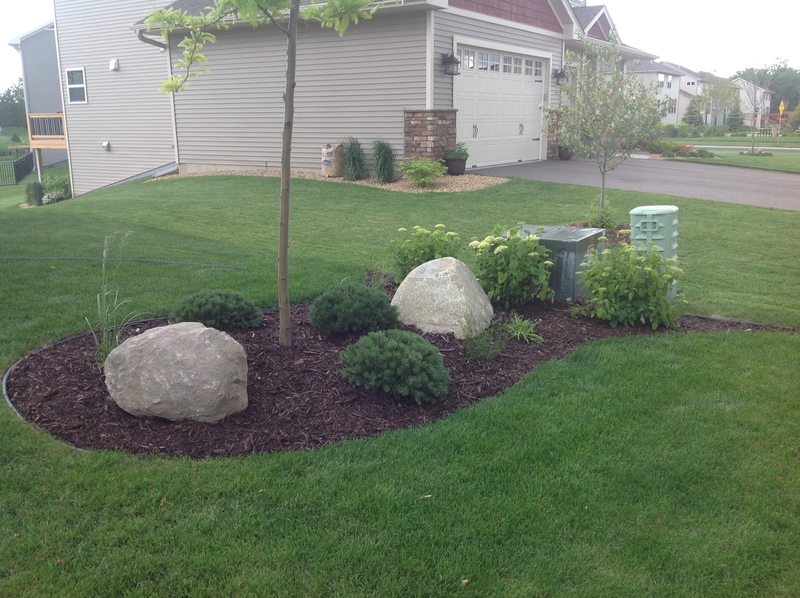 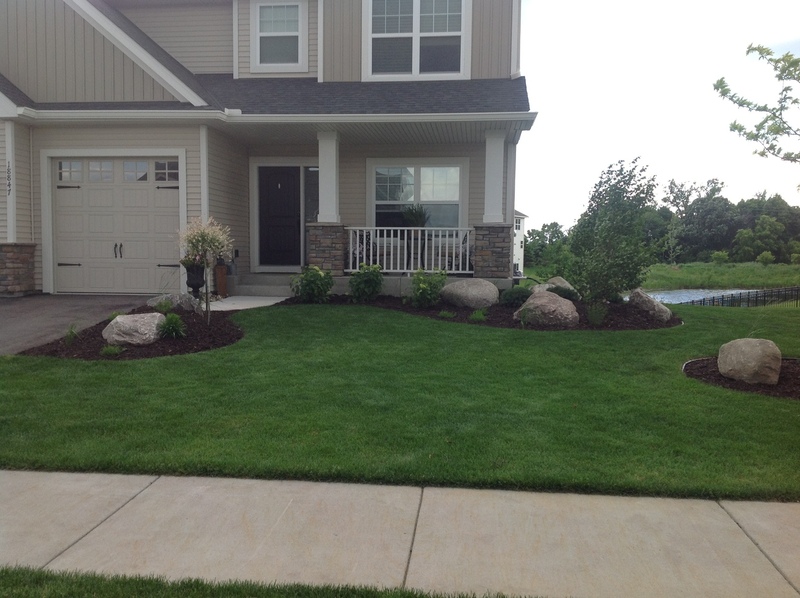 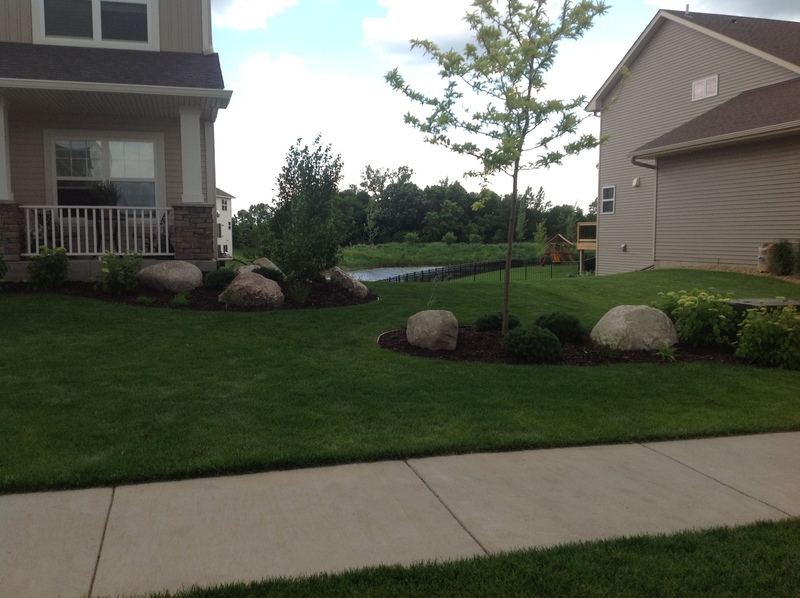 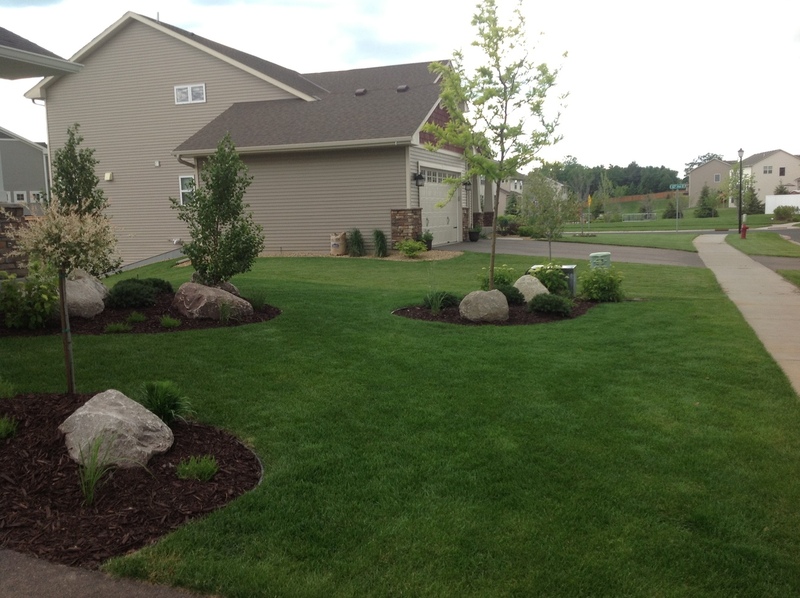 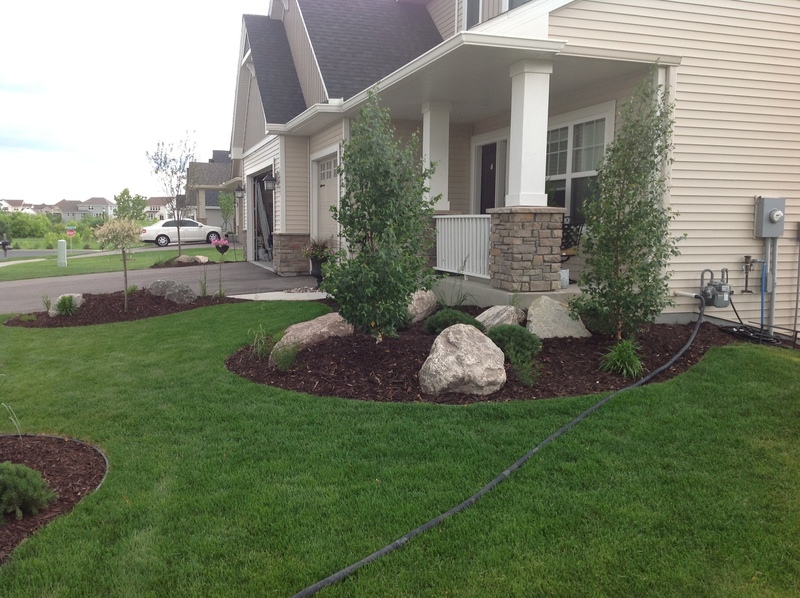 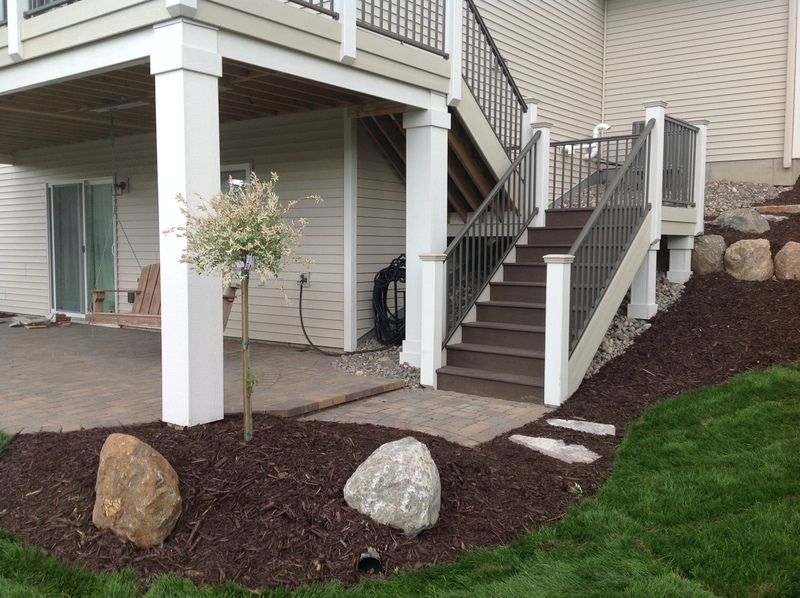 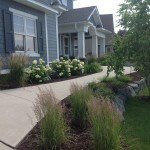 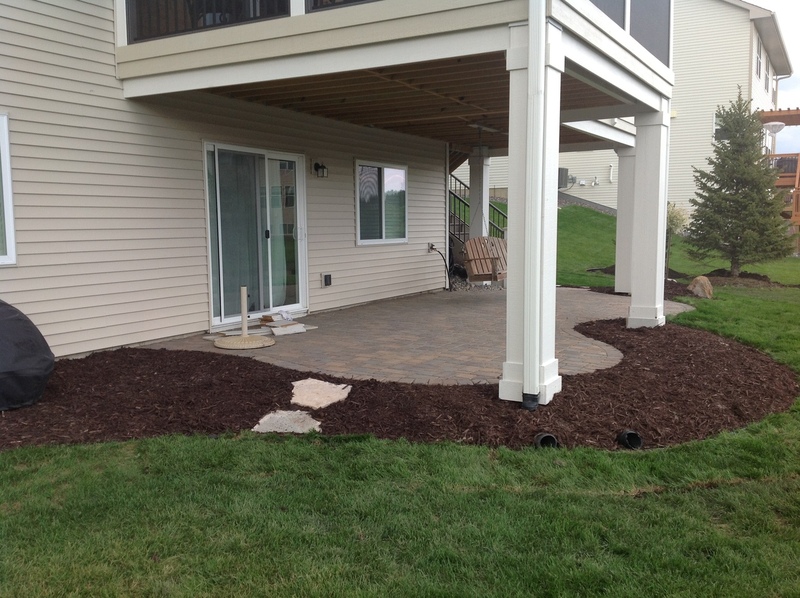 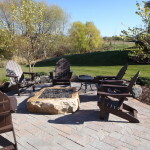 This custom landscape and hardscape project in Plymouth, MN included a Borgert Cobble paver patio, fieldstone boulder walls and outcroppings, and Chilton stone stepping paths. 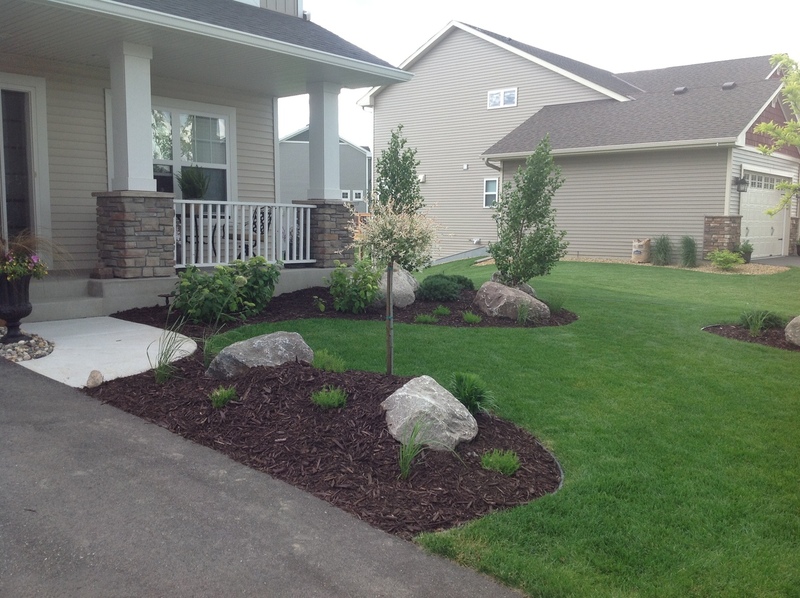 The landscape featured a variety of plants and trees and some areas were built up to provide an elevation element to the landscape. 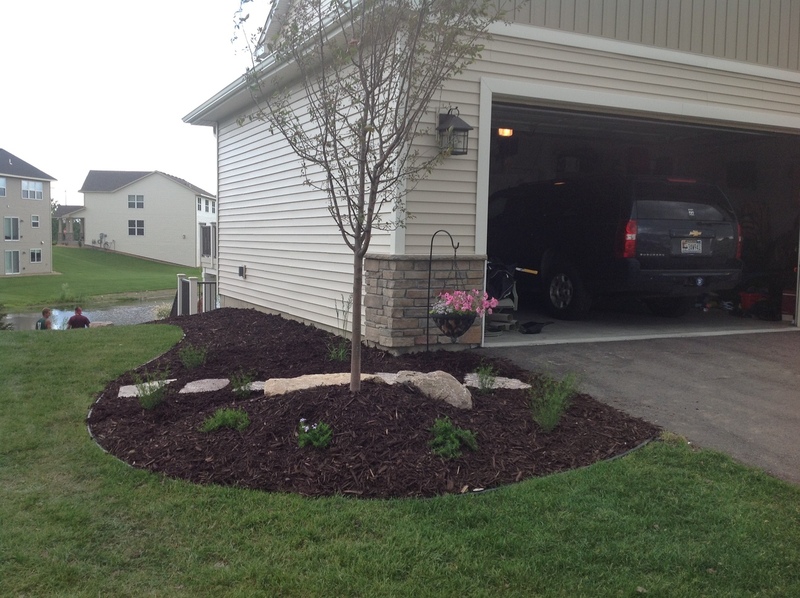 The many colors of perennials that were used really stand out with the dark brown mulch.